The Marco Polo with, beautiful teak decks and a distinctive dark blue hull, is a fully stabilised and air conditioned classic ocean liner. 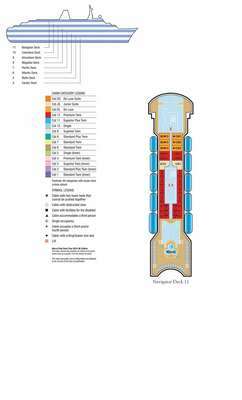 She can accommodate up to 820 guests and has eight passenger decks. 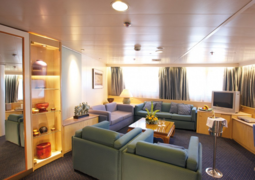 There are fifteen categories of cabins and suites on board Marco Polo. Choose from an Inside, Outside Cabin or a Suite. Even in the most economical cabins, the standard features are impressive. If you choose to select a De Luxe cabin, Junior Suite or De Luxe Suite to take advantage of some complimentary extra benefits. The carefully constructed menus add a daily spice of variety to a blend of traditional fare and international specialities that will inspire the most jaded of palates. Indulge in exquisite food in the elegant 'Waldorf Restaurant' where you can get breakfast and lunch on an open seating basis, while in the evening dinner is operated at two fixed times. 'Marco 's' restaurant is open daily for a buffet style meals, while on the pool deck you can get Al fresco meals with an amazing ocean view. Add in the morning bouillon, afternoon teas, the late night snacks and the traditional shipboard occasions such as the Captain's Welcome and Farewell Dinners, and the pleasures of the table will surely tempt you. The Marco Polo ensures that you will never have a dual moment on board. Offering some great entertainment offers some great entertainment, with 'A Laugh on the Oceans Waves' you'll be crying with laughter by the end of the evening and pleading for more, along with stylish shows that vary from evening to evening the range of entertainment is endless. 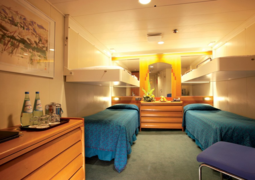 On CMV cruises of five nights or more are accompanied by one or more of these experts giving informative talks or practical sessions on a range of fascinating subjects. 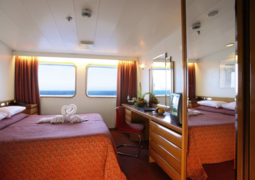 The activities on board will also keep you entertained while you cruise along the ocean. You may choose from a work-out in the gym, a make-over in the beauty salon, a swim in the pool, a spa session, deck games or join in a quiz. On board Marco Polo the Jade Wellness Centre with its tranquillising atmosphere will relax you from the moment you step foot in the center. If offers an plenty of beauty treatments along with a sauna and massage facility. Treat yourself with one of Marco Polo's spa packages or design your own special day on board. If you feel like staying active there is fitness and exercise equipment available.